I have perfected the skill of using every square millimeter of hand luggage capacity in order to avoid the trauma of check-in queues, reckless baggage handlers and lost luggage. Thus, filled to the brim, the Saddle Pack received a workout in a number of capacities- as a travel backpack, a hunting pack, waist-pack, handbag, rifle rest, pillow, chair and sunshade. The pack is divided into two compartments. The main compartment is accessible from a double zipper extending from the base of the pack and arching around the top. This supports the bulk of my gear, including a summer sleeping bag, laptop computer, travel journal, 3 summer outfits, my H.E. XTR trousers, 4 magazines, a thin fleece jumper, and a few souvenirs and freebies I collected along the way. By the end of the trip, zipping up the bag involved repacking three times before resorting to the ‘knee, squeeze and zip’ method. 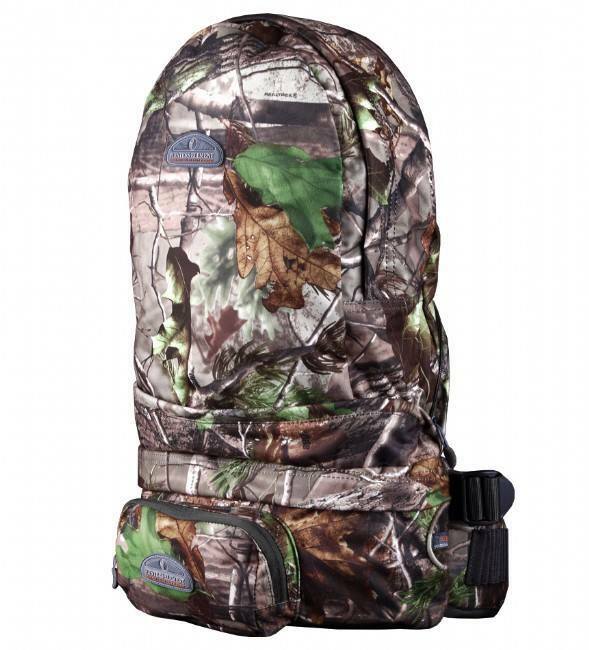 We know that backpacks will always fail at the weakest point- the zips! But the YKK zippers made no complaints and did not bust or jam under the pressure! The smaller compartment at the base housed a range finder, camera, chargers, GPS, ‘SPOT’ device and my 1.5 litre hydration bladder (with room for quite a few more litres). The hose passes through a port and attaches to the backpack strap via a clip. There is a small zippered compartment for securely keeping smaller loose items such as car keys and licences. Underneath this compartment is a set of straps for securing items to the bags exterior. A small bedroll, summer sleeping bag, peanut pillow, shoes and a pair of thongs each had a turn of riding on the outside, as the souvenirs begin to use up the last pocket of precious space. The selling point of this pack is the versatility to use as a waist-pack. 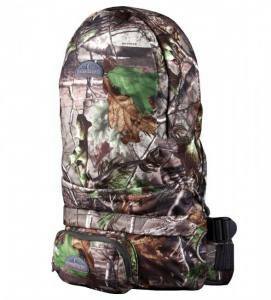 The main pack rolls down and stows into a zip-up section in the top of the waist compartment, and by quickly and easily removing the shoulder straps from the bottom clips, rolls into a surprisingly small package, leaving a very roomy but practical waist pack. (Just remember the configuration of the straps for when you need to put it back together!) This is perfect for when you have a base camp or residence and want the versatility of a smaller pack for a half day walk, or, for non-hunting purposes, a pretty nifty handbag! 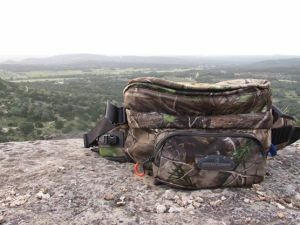 My first opportunity to test the waist pack configuration was on a Hike in Bandera State Park. After a car campout (the pack held true as a pillow) I beat the sun up, following a 13km track winding through the Texan wilderness. The hills were by no means challenging, but after a few days crammed in a plane and coming from a dry western winter, I was severely un-acclimatised to the Texan summer humidity. A few choice ‘photo stops’ were the perfect excuse for a breather, and to hone in my ‘selfie’ skills with the Canon’s self-timer function. 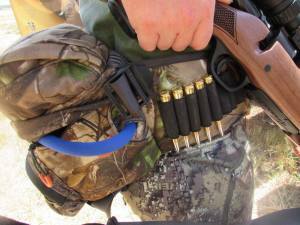 With a tendency to get tight neck, shoulder and upper back muscles, a waist-pack is my preferred hunting pack as I find putting the weight completely on my hips uses the strong leg muscles for their intended purpose. These style packs can often be made with insufficient adjustment for smaller hips, but this is not the case with the Saddle Pack. The waist strap adjusts easily, does not work itself loose, is well padded, and caters for all hip circumferences! The convertible nature of the ‘Saddle’ pack i.e. the ability for the shoulder straps to pack down into itself) means that the straps need to be small in order to pack down into the bag without compromising packing space. Thus for a heavily packed or multi-day wilderness trip, I would check out the Elevation, Contour or Terrace packs. The Saddle Pack proved its worth as the perfect travellers pack. Size wise, it was adequate for the needs for a 10 day overseas trip for a light traveller. With the inflated size of my luggage on the return journey, one could tell I had been ‘Cabelas’ shopping, and unfortunately I had to check in my bag and watch it travel down the conveyor belt to a destination far from mine. Yes, two days later I was still waiting on the return of my lost baggage, but to their credit Qantas recovered it and I was glad to say that I was soon reunited with my Saddle Pack and its contents, ready to pack for the next trip!